The Speakers Bureau is one of the many ways Skidaway Institute faculty and staff serve the community. Our experts share their expertise on a wide range of oceanographic and environmental topics to a range of organizations including service clubs, community and civic organizations, professional and educational associations, library groups, senior centers, churches, school groups and museums. *Preferred topic. If possible, provide a first, second and third choice. So what is that place at the north end of Skidaway Island, and what are they doing there? Mike Sullivan will answer those questions and more as he describes the history of the institute and profiles its cutting-edge research on the Georgia coast and around the world. We live on or near the coast, yet many of us do not fully understand the important roles the ocean plays in our lives. Dr. Sanders, in this general introduction to the science of oceanography, will introduce the audience to the ocean, its features, and the interactions between the ocean, human society and all life on the planet. Sea level has been changing in response to climate forcing throughout geologic history. 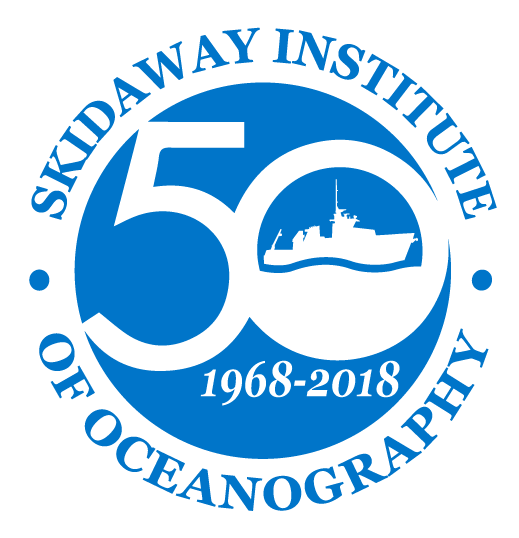 Dr. Alexander will explore how far sea level has fallen and risen in the past; how fast is it rising now; and what can we expect in the future – all issues important to understand if we are to begin to plan for the impact of rising seas, of whatever magnitude, on our coastal environment. Our dynamic coast is constantly changing in response to storms, waves and currents. Dr. Alexander will discuss the processes that are acting to shape our coast, how the islands and beaches have developed over time, and how human activities at the coast change how these processes operate. Everyone is familiar with the earthquakes that frequently occur on the West Coast of the US, and more recently, in many other parts of the world. But did you know that large earthquakes have been felt along the southeastern coast within recent history? Dr. Alexander will explain how earthquakes are created, the history of earthquakes in the southeast and the outlook for the future. Images such as the Great Pacific Garbage Patch have attracted much attention to the problem of marine debris. Dr. Brandes will examine the issue of plastic pollution, especially microplastics, in the marine environment with a focus on the Georgia coast. Rising concentrations of carbon dioxide in the atmosphere are impacting the chemistry of the oceans. Dr. Buck will discuss the implications of this planetary scale chemistry experiment. Autonomous underwater vehicles (AUVs) are untethered marine robots that can sample and explore the ocean on their own for days, weeks, and even months at a time. Dr. Edwards will talk about how she uses AUVs in her research, and new systems developed in her lab to weave together live data streams and ocean forecasts to improve sampling and our understanding of the ocean. Dr. Frischer will explore the often overlooked but vitally important role of microbes in the marine environment. These “bottom of the food chain” creatures are the driving force behind much of the biological activity in the ocean. Keeping our water sources clean and safe of microbial pathogens is one of the most essential requirements of modern societies. Dr. Frischer will take you on a historical journey from the Industrial Revolution to modern times exploring the continuing efforts to keep our water supply safe for human consumption and recreation. Black Gill in Georgia shrimp; Where have Georgia’s shrimp gone? For the past 20 years, a large percentage shrimp along the southeast U.S. have been affected by a once-mysterious condition known as black gill. Local shrimpers blame this this parasite-driven condition for reduced shrimp harvests in recent years. Dr. Frischer will discuss his research into black gill and how it is affecting Georgia shrimp. The ocean both affects global climate change and is affected by it. Dr. Frischer will describe how the ocean fits into the climate change picture and what it means to us. Savannah is surrounded by salt marshes. Dr. Savidge will talk about how salt marshes function and how we can place place an economic value on what they do. A history of the Roebling family and Skidaway Island. What do 19th century German utopianists, the Brooklyn Bridge, and prize bulls have to do with Skidaway Institute and the Savannah Philharmonic (among other things)? Dr. Savidge will talk about the history of the Roebling family and their influence on Savannah and Skidaway Island.